Staffs are so nice and helpful during our 4 days stay. Very great location. Close to Oxford St., New Bond St., Hyde park, Buckingham Palace. Front desk Usaf was very helpful and friendly. I arrived early and they were nice enough to give me an early check in. Location in Mayfair is great...close to everything. One particular gentleman from the reception staff was exceptional. My room was very comfortable as was the bed. My friends room was rather small with no window. Lock in a great price for Mayfair House – rated 8.2 by recent guests! Mayfair House This rating is a reflection of how the property compares to the industry standard when it comes to price, facilities and services available. It's based on a self-evaluation by the property. Use this rating to help choose your stay! 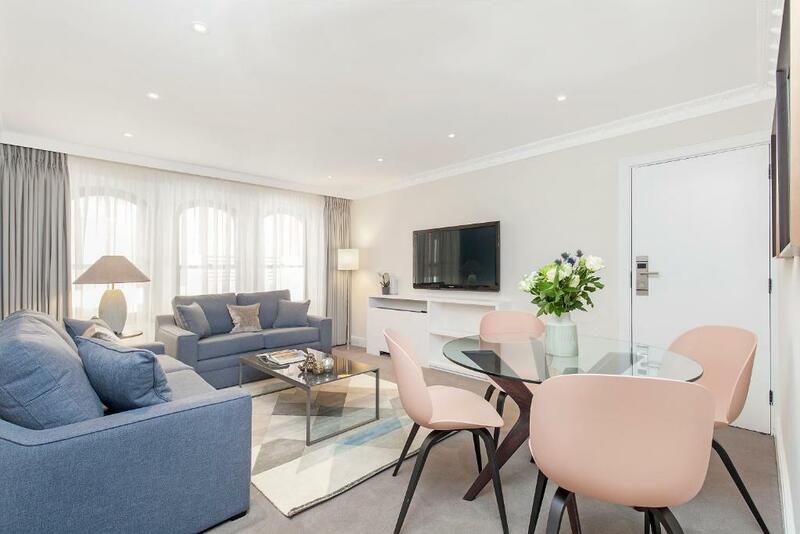 One of our top picks in London.Mayfair House provides a mix of classic and contemporary apartments in the heart of London's prestigious Mayfair. 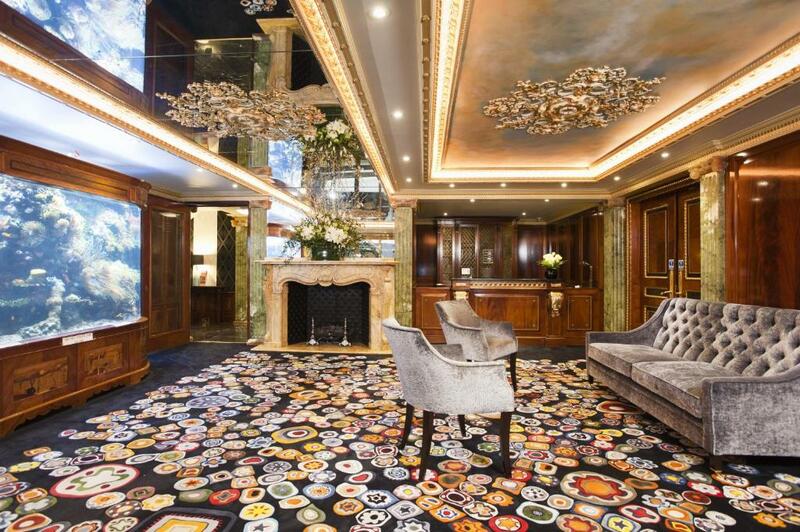 Situated just 950 feet from the famous Park Lane, the property includes private parking and free Wi-Fi. Each apartment at Mayfair House, both classic and contemporary, provides guests with a large lounge, including spacious sitting and an LCD flat-screen TV. The kitchens are fully equipped with modern appliances, including a microwave and a fridge. Continental breakfast is available for an extra fee, and can be delivered to the apartments. Green Park Tube Station (subway) is just a 6-minute walk away and provides 1-stop journeys to Oxford Street, Piccadilly Circus and Victoria. The south east corner of Hyde Park can also be reached in just 6 minutes by foot. The London Palladium is less than a mile away. This apartment is designed in a contemporary manner and features a bathroom with a bathtub/shower and a living room with a TV/DVD player. The full kitchen features a microwave and a refrigerator. Private parking is available on site (reservation is needed) and costs GBP 10 per hour. This larger apartment features a living/dining area with a flat-screen TV/DVD player and full kitchen with a microwave, stove and refrigerator. This apartment can accommodate an extra bed and a twin bed set-up can be arranged. Modern 2 bedrooms with one Queen size bed in the master bedroom and a double bed in the second bedroom, 2 bathrooms with a bathtub and shower overhead, living room with a sofa bed and a full kitchen. Modern and spacious 2 bedroom apartment with 2 king size beds in the bedrooms and 2 bathrooms with a hot tub and shower, living room with a sofa bed and a full kitchen. This ground-floor apartment has a spacious lounge and dining area with a flat-screen TV and a DVD player. Bedrooms have a king-size bed (which can be made into twin beds upon request) and the master bedroom includes an en suite with a spa bath. There is also a modern kitchen. 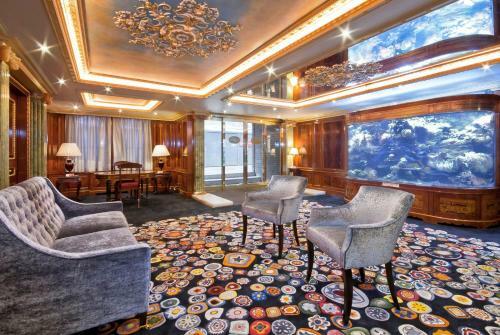 Featuring private elevator access, this penthouse suite features wooden floors and luxury carpets. The living and dining area features an entertainment system and a large kitchen. There are 3 king-size bedrooms and a fourth twin room. Each has an private bathroom with a spa bath. An additional bathroom has a walk-in shower. This apart­ment includes a flat-screen TV/DVD and music sys­tem and a modern well-equipped kitchen. The double bed­room is fit­ted with a Queen-size bed and the bath­room includes bath and shower. This apartment is a generously sized apartment located on the first floor. The apartment has a living/dining area with flat-screen TV/DVD, music system and a modern, fully equipped kitchen. The bedroom is fitted with a king-size bed, which can be split into 2 single beds, and the bathroom includes bath and shower. This apartment is located on the fourth floor, offering a living/dining area that includes flat-screen TV/DVD, music system. The Master bedroom is fitted with a king-size bed; the second bedroom includes a double bed. The apartment has 1 Bathroom, fitted with bath and power shower. The fully equipped kitchen includes all modern appliances. Please note extra beds are not available in this room type. This three bedroom apartment has a living room/dining area with a TV with access to Sky TV, and DVD player. The fully-equipped kitchen is fitted with a dishwasher and washing machine/tumble dryer. One bedroom has a queen-size bed while the other two bedrooms have a king-size bed. Each room has an private bathroom with bath and power shower, and there is also an extra bathroom. The apartment is located on the third floor, with elevator access available. The Superior Two-Bedroom Apartment features a spacious living/dining area including a flat-screen TV/DVD, music system and WiFi. The master bedroom includes an private bathroom and is fitted with a queen-size bed. The second bedroom is fitted with a double bed. The apartment has two bathrooms and both are fitted with a bath. The fully equipped kitchen includes all modern appliances. This apartment has a CD player, DVD player and air conditioning. Luxury serviced apartments in exclusive Mayfair: charming and intimate, Mayfair House offers stylish contemporary apartments in the heart of London's prestigious Mayfair. 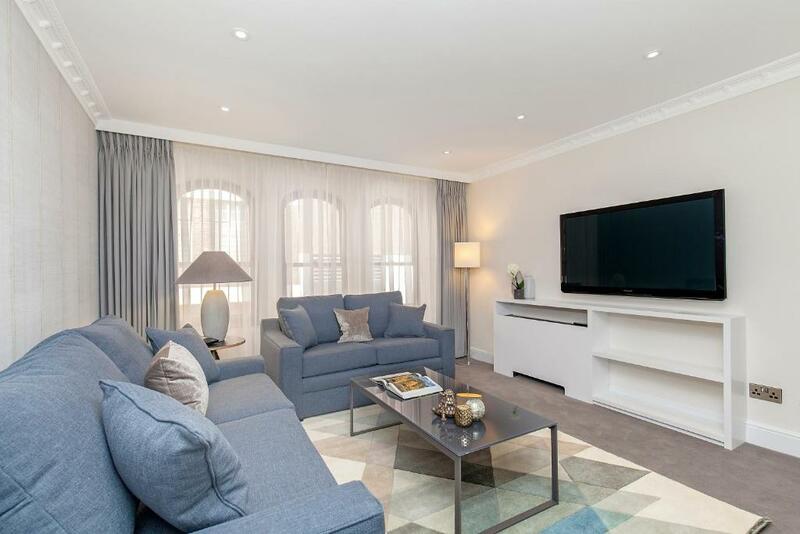 The 25 luxurious apartments range from One, Two and Three Bedroom apartments, and for the ultimate in luxury, a magnificently refurbished Four Bedroom Penthouse Suite with balcony. 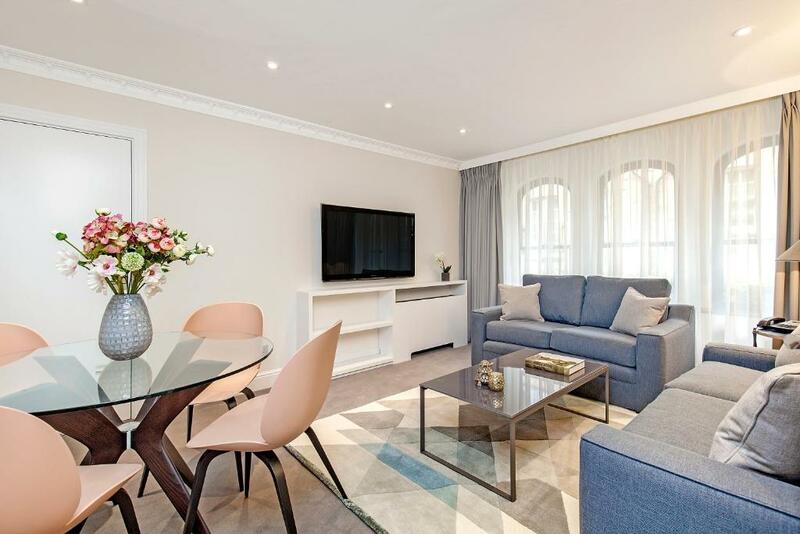 We offer a luxury collection of Serviced Apartments in central London providing space, freedom and privacy, alongside the luxury and service of a 5-star hotel. 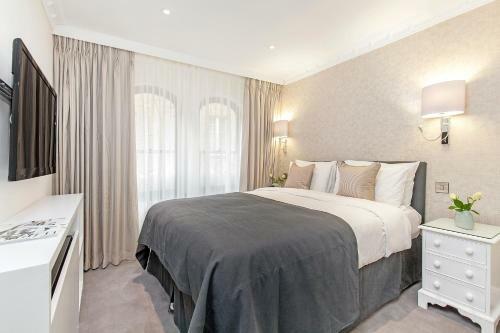 With over 30 years’ experience we understand our client’s needs, all properties are in prime central London locations close to Hyde Park, we can offer our clients exceptional accommodation solutions. From short stay visits to explore the city to long stay family relocation accommodation, Maykenbel offer a choice of apartments for leisure and corporate requirements. With a large portfolio of Serviced Apartments to choose from, we provide our clients with a choice of location, service, security and self-catering accommodation to suit their individual needs. All apartments are modern and contemporary in design with fully-equipped kitchens, high quality furnishings and bed linen, and the very latest in-room technology. We offer the best apartments, in the best London locations, providing home from home comfort and a perfect resting place to explore one of the most exciting cities in the world. The Mayfair area is conveniently close to Hyde Park, Park Lane, Oxford Street, Piccadilly and London's famous West End theatre district. It also boasts some of the finest designer and specialist shopping in the world. House Rules Mayfair House takes special requests – add in the next step! Please note that at check-in guests are required to submit a security deposit which is usually a pre-authorization on the guest's credit card. This pre-authorization will be canceled following settlement of any outstanding balance on the bill at check-out and after an inventory check out has been made. Continental breakfast is available at an extra cost of GBP 12 per person per night. It is delivered to the apartment as a breakfast pack. The card used to book must be presented at check-in, along with ID. Please note extra beds are not available in the Standard Two-Bedroom Apartment. Staff was stingy with shampoos etal. The apartment is fantastic, Location is very good and convenient. So much space to live. Compared to the surrounding hotels. Cleaners need to clean the room better. On my first day of arrival the toilet seat was with pee stains still. 3-4 cleaners comes in at one go... so i believe rooms should be a lot cleaner. Oddly was asked for photo ID which is only asked for when in Europe, as I live in London I didn't have it which caused issues. Luckily my partner has his to use. I would recommend a more thorough clean in the bathroom which still had hairs and stains from previous guests. It seems the king size bed was two beds put next to one another which I'm not enamid with yet comfotable. The space of the appartment was great. Bed too. 1. There is a bar opposite to the hotel, and at night i could not sleep because of the noise ( people laugh and talk loudly). 2. I requested a late chk out and the maximum they gave is 1 hour whereas other hotel gives to 2 or 3 PM chk out time. Very quite location and friendly staff.